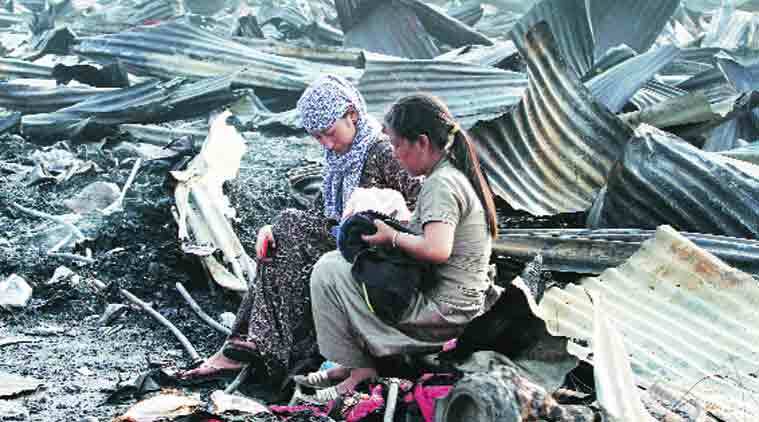 (TibetanReview.net, Nov25, 2016) – The state government of Delhi has sanctioned a relief amount totalling Rs 13.8 million for the Tibetans who ran a temporary winter market of 138 stalls that was totally destroyed by fire in the night of Nov 8 near the city’s Red Fort (Lal Qila). The owners of each stall will get rupees one hundred thousand. Earlier, the exile Tibetan administration had released Rs 1.5 million for immediate reconstruction of the temporary market while promising further support. The exile administration has since launched a drive to raise donations to provide relief to the affected Tibetan families who had come from Tibetan communities in different parts of India. The total loss from the fire was estimated to be worth Rs 120 million (over $1.8 million). A significant number of Tibetans living in India eke out their living by holding temporary winter market shops in towns and cities across India retailing winter wear items.